Day 5 – A picture of your favorite memory. Doing things a little different w/ this one. It is IMPOSSIBLE for me to pick one picture of one memory. This picture I found randomly online a few years ago and represents a few of my favorite memories in one picture. First, the picture was taken in NY, I have many wonderful memories of Christ…mas in NY. Second, the snow, I love the snow and have many wonderful memories of snowman, cookies, hot chocolate and everything else that comes with it. 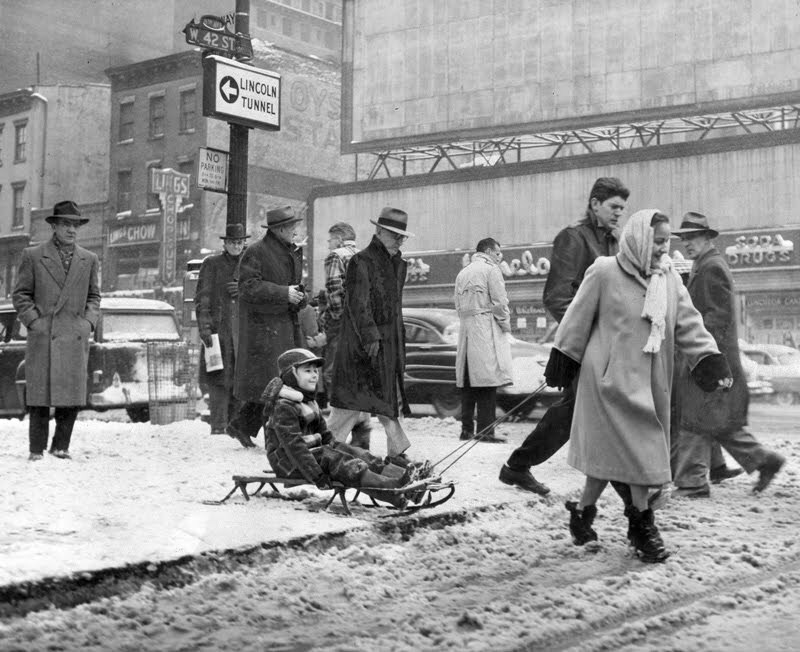 The most chilling part of the picture, the man w/ the fedora and glasses next to the kid in the sled, is the spitting image of one of my grandfathers….spitting image. I have memory wonderful memories of both sets of my grandparents…so there ya go, I know I kinda cheated on this one, like I said before, it was just too hard to narrow it down to one memory.